I just got back from my grandma’s house in Dassel, MN. 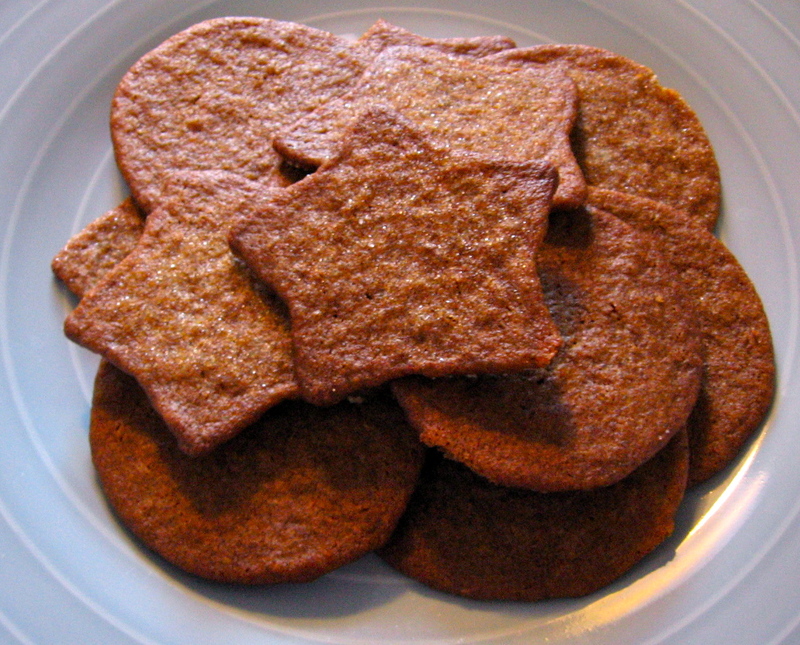 Main event of the visit: making these thin, melt in your mouth Swedish spice cookies. These have been a favorite of mine year after year, so I was pretty excited when she suggested that we make them together. 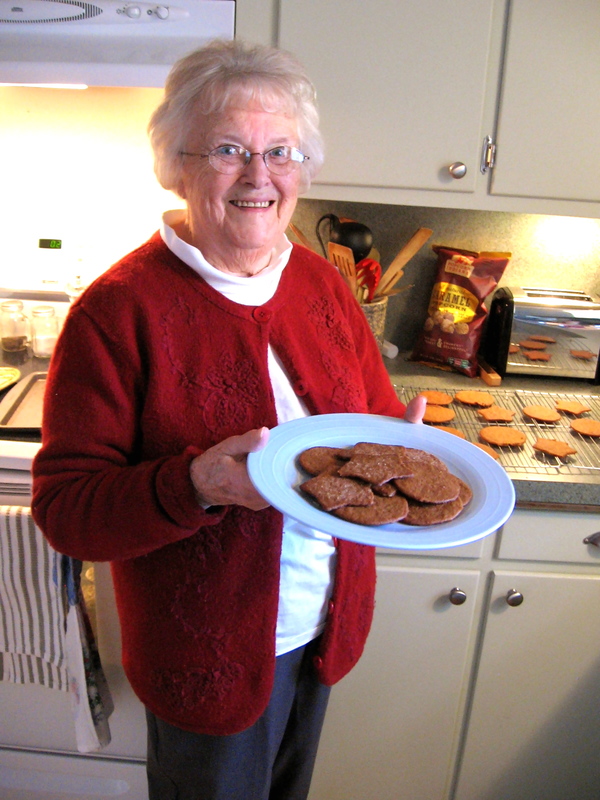 I’ll take all the cookie making wisdom I can get from her! …and mix it all into the flour mixture until it reaches a consistent texture. Chill well. * You can stick it in the freezer to make this go faster (even after 10 or 15 minutes it could be ready). Once the dough is chilled, flour the counter and set the oven to 350 F (180 C). Take a handful of dough and roll it out until it’s very thin–(1-2 mm). It’s best to work in small amounts like this so you can keep the rest of the dough chilled until you’re ready to use it. Working quickly, use cookie molds to cut out shapes and put them on a baking sheet. You can sprinkle a little sugar on top at this point too. Bake each pan of cookies for about 5- 6 minutes or until the edges just start to get brown. Cool on a cooling rack for maximum crispiness. I’ve tried other spice cookies, but these simply are the best. And even though they can hold their own, they’re always better when an 87-year old lady as sweet as this one hands them to you with a cup of Swedish coffee. *The secret to making these cookies as thin and therefore crisp as possible is to keep the dough chilled. Because of all the butter in them, the dough gets softer and much harder to work with the more you handle it. Please tell me you brought some home to the mistletoe mansion for us to enjoy 🙂 They look delicious!